Field installed Pull-Lock™ fittings make installing cables easy. Pull-Lock fittings are designed for use with 1×19 L.H. lay strand only. 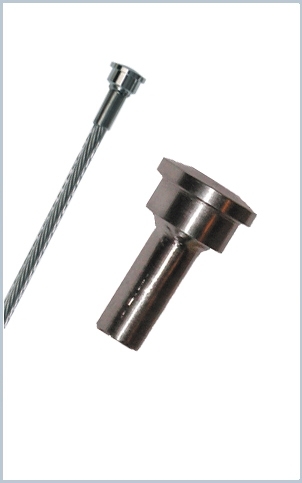 They can be used with any tensioning device on the other end…but when used with our swageless tensioners (pages 6-7), both ends can be put on the cable by hand without any swaging or special tools.